Washingotn gold and mineral maps. 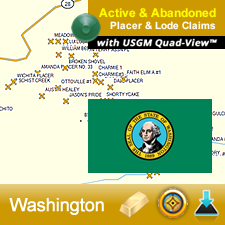 Sell US Gold Maps™. Become an Affiliate. Easy as 1-2-3. 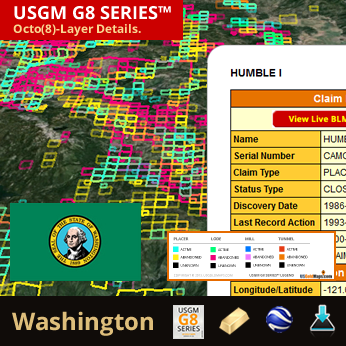 Google Earth™ is owned by Google, Inc. USGoldMaps.com is not affiliated with Google, Inc.
Garmin™ is owned by Garmin Ltd. or its subsidiaries. 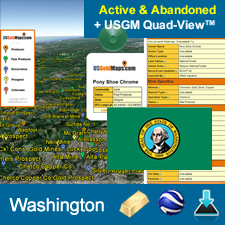 USGoldMaps.com is not affiliated with Garmin, Ltd.
BaseCamp™ is owned by Garmin Ltd. or its subsidiaries. 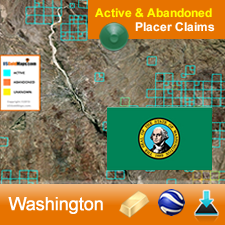 USGoldMaps.com is not affiliated with Garmin, Ltd.